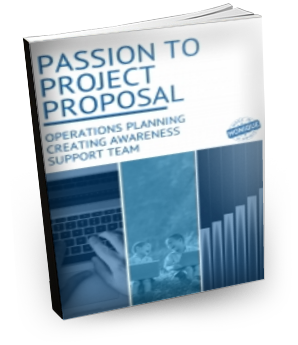 The Passion to Project Strategy is a cutting-edge approach that works with your desire to give back, as a tool for marketing your online business. This strategy is for heart-centered entrepreneurs who are looking to gain exposure, grow their business, and increase their income, all while making a positive impact in others lives and reducing their stress with their online business. Companies that use cause-related marketing include Toms, tentree, Stella Artois, and many more. Step 1 starts with you. Complete the questionnaire below and we will review your answers to see if the Passion to Project Strategy is right for you. If it is, we have a “Get to Know You Call” and talk about your business, your goals, and where you are right now compared to where you want to be in the future. After the call, I go ahead and formulate a completely free proposal, so you can see what the outline is for us moving forward. Operations Planning to ensure everything is streamlined and in place. Creating Awareness for connecting your business to the right audience. Support Team so you have the right team to back you. The thing that makes this strategy so ideal, is that I go into great detail of the specifics of what we need to do, and what needs to happen to move toward your goals. You choose what option is best suited for you from the multiple options in the strategy, and best suited for your budget moving forward. You can take the strategy away yourself and implement it with your own team, or you can work with the Made in Monique support team. Each stage is optional and there is no obligation or commitment unless you are ready to move forward together. This is going to be one of the best investments you make for your business and lifestyle. With this strategy you will gain exposure for your business, increase your income, and have less stress, all while making a positive impact in other people’s lives. Goals and Thoughts* Required field!